3. Select the topic in the category you wish to reply to. 4. Select the Reply button at the bottom of the topic, add your reply, and select the Reply button below your reply to save. 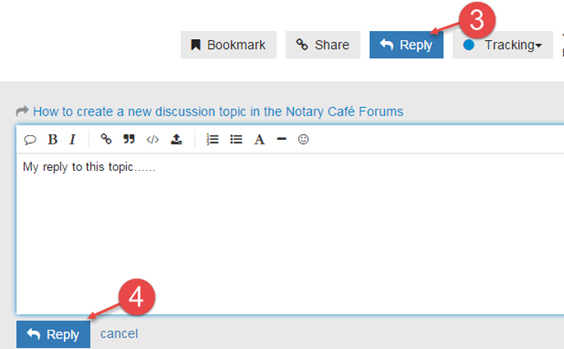 You can also reply to a specific post within the topic by using the reply button next to the individual post.